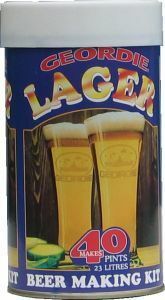 Geordie lager is a light, refreshing beer with a tangy continental taste. It's sparkling and gold in colour. Ideally served straight from the fridge.